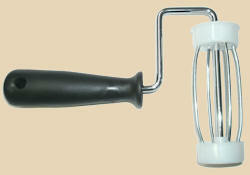 RPL, RPM and RPS are solid wood rolling pins: there is no dowel in the middle that could break at the handles. 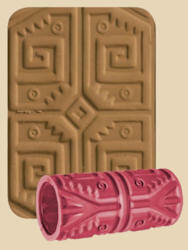 They're great for working with firm or grogged clays. 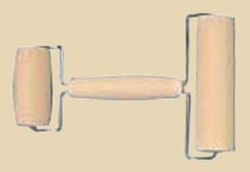 FR4048 is recommended primarily for use with softer clays. Barrel is 2-3/8" wide silicone, with nylon bearings. 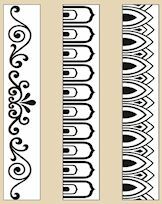 This set includes 4 pairs of strips in 1/2", 3/8", 1/4" and 1/8" thicknesses. 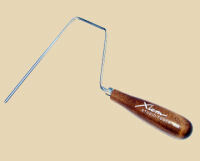 Made of dense hardwood that are precisely cut to insure uniform and accurate measurements. 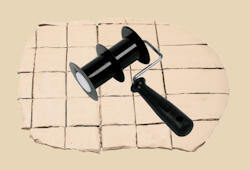 Set them under a rolling pin while you roll out your clay to get the thickness that you need for your project. Stack them to get even more variation in thickness. 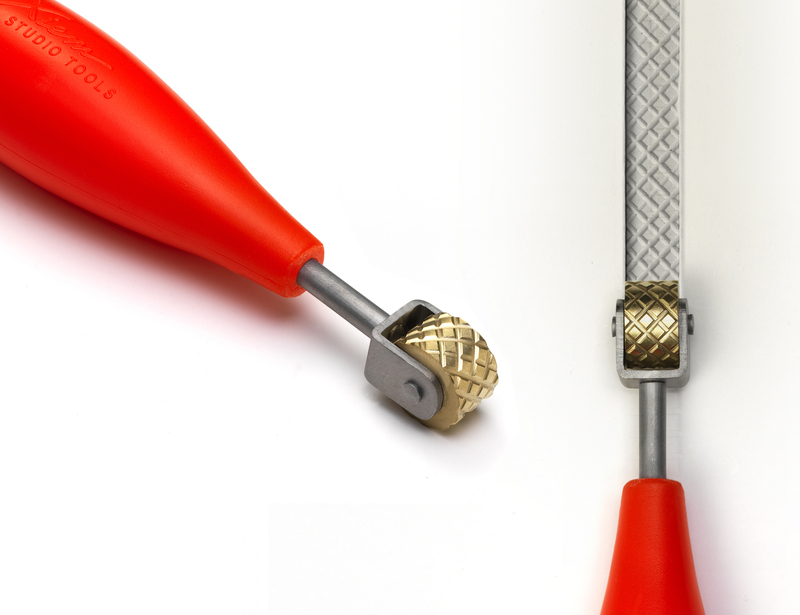 Cutting soft clay slabs into tiles, rectangles, or strips is so easy with these Clay Tile Cutters from Amaco! They come in two sizes, 2" and 4" wide. The 4" wide x 5/8" deep cutter allows you to make 4" cuts, up to 1/2" thick, in continuous rows. The 2" wide cutter is also 4" wide but includes a center blade that makes continuous double rows each 2" wide. 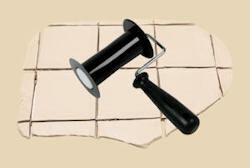 The Clay Tile Cutters are made of a durable plastic and are safe for all ages. 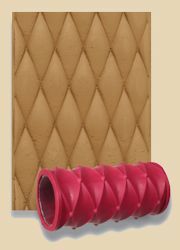 Roll out a continuous design on a slab of clay with these new textured Clay Rollers and watch a plain slab become an instant work of art! 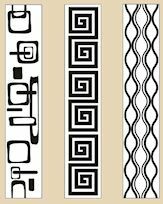 Create tiles, vessels, or other works. The roller sleeves are interchangeable on the handle so you can save storage space as well as money! 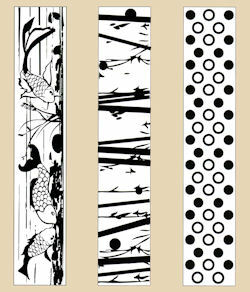 Discover the unlimited possibilities of pattern and texture with these great new Art Rollers from Xiem! 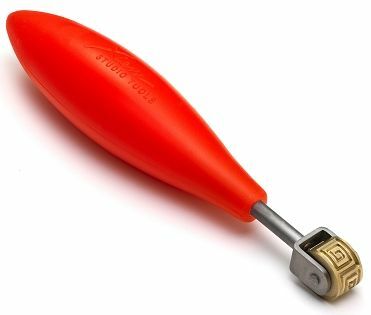 Each 7” roller is made of high-quality nonstick rubber and is easily interchangeable with the stainless steel-&-hardwood handle. 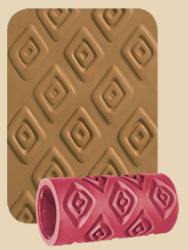 These rollers offer seamless pattern designs, sturdy and construction, and they're designed and assembled in the US. 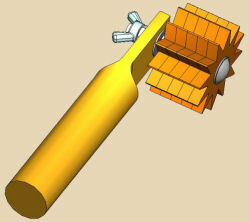 The rollers work equally well with or without the ARH handle. 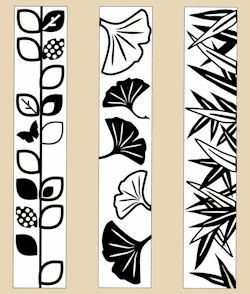 Art Roller Minis have interchangeable rubber rollers with different designs. 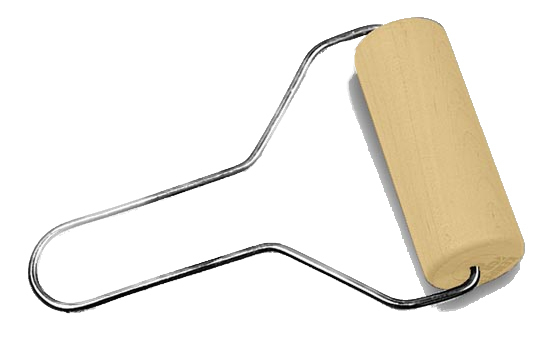 NO strips to wrap around and secure (somehow) to the wheel: just slide rollers on and off the handle. 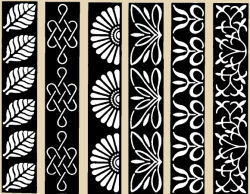 Roll them in any direction on any surface, including curves, for continuous lines of pattern. Actual pattern size is 1" wide. 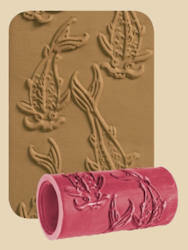 Pattern Rollers offer a new, easy, fun ay to add professional-looking surface decoration to your clay work! Wrap the pattern strip around the roller and give it a whirl: you'll love the results. Deco-Roll sets include the handle (shown at bottom). 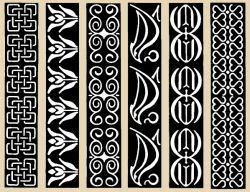 The A and B sets include six strips, each 1" wide. The Mini set has 10 strips, each 1/2" wide. Create. Roll. Done! Xiem's extended Art Roller Detailing family includes eleven exciting patterns give you the wow factor that you have been searching for in your artwork. 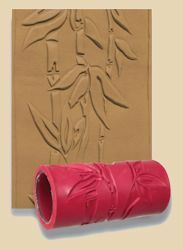 They are great for adding texture to a variety of clays such as polymer, sculpey, earthenware, precious metal, and stoneware clays. 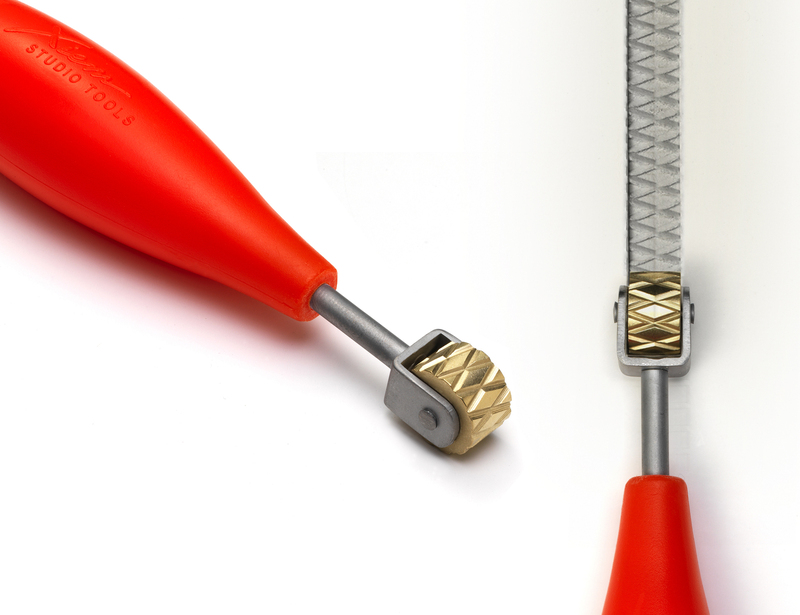 Now you can effortlessly add a seamless line of texture to any project. Discover the unlimited possibilities! Each roller is 1/2" wide. The Steve Tool is a reconfigurable tool for applying texture to your clay. Arrange the plastic texture disks (which ome in 2 styles, shown above) with washers and nuts into many designs for lots of raw texture in different patterns. 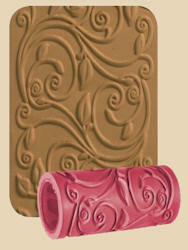 After applying texture, form the shape of your clay piece from the INSIDE. You'll see how the texture becomes part of the piece, not just applied to the outside, as the clay moves and reshapes the texture patterns. 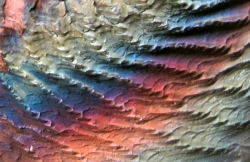 The resulting patterns may mimic flowers, seashells, and helixes: it all depends on how you arrange the disks!